Suzanne McKenna Link is an independent author whose storytelling is fueled by an inquisitive nature to understand the balance between intimacy and pride within personal relationships. She especially enjoys writing realistic fictional tales of the trials and tribulations of young adults. Starting out as a graphic artist, Suzanne returned to her life-long dream of writing during a hiatus from her design work and is committed to fulfilling her dream of being a recognized, published author. She lives on Long Island, minutes from her childhood home with her husband, two children, a pony of a dog, and a spoiled cat. 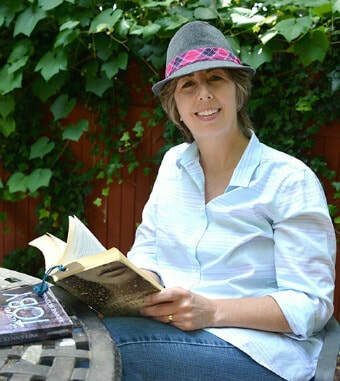 Suzanne is a proud member of the Long Island Chapter of Romance Writers of America (LIRW). In school, Toby Faye was a moody kid who sat in the back of class and looked like he wanted to be anywhere but there. Claudia might have forgotten him if it weren't for the two fatal circumstances surrounding his family. In their small town, the Faye name was infamous. An unexpected job offer drops Claudia back into Toby's life, and that of his widowed mother. Older now, Toby is a mass of muscles and unruly hair; a real head-turner. Despite Claudia's attempt to stay away from Toby, his blue-grey eyes expose a need she cannot ignore. Toby's world is a place where sadness lingers and old wounds run deep. Touched by the family's plight, Claudia vows to help Toby and his mother move past the hurt. When a local hate crime is linked to Toby and his friends, doubts are cast. Old friends become enemies. Animosity between Claudia's father and Toby strains the father-daughter relationship. Taking Toby's side means Claudia will be forced to face situations she never imagined. She will have to be tougher than she's ever had to be. Does Claudia have the grit to love Toby through his fall? Saving Toby is the first book of a duology that follows the emotional and inspirational tale of a young couple's journey to find themselves. How do you love someone whose past goes against everything you’ve ever known or trust in a future you’ve yet to believe in? Back home in a town she once fled, headstrong Claudia Chiametti returns to the arms of the only guy ever to awaken her heart. Everything about Toby contradicts her family’s traditions and values, but she’s ready to take a chance on love. Toby Faye is a new man, and the girl he’s long dreamed of is finally within his reach. With Claudia’s help, he’s put the past behind him. But one last secret hides in the dark corner of his past. The one that could undermine it all. Keeping Claudia is the emotional finale to the love story that began in Saving Toby, an unforgettable journey of a couple who discover the only way to love someone is with an open heart.